A soft pastoral work painted in the style of an outdoor sketch. Inspired by the work of John Constable. 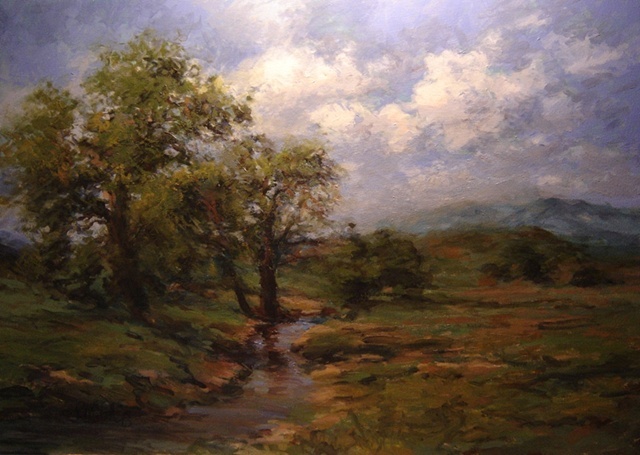 Clouds float through a spring scene of oak trees by a creek. Earthy greens and ochres with subtle blues dominate.